Well, at least marching onto the painting table (at the end of a long line). Basing, stripping and green stuff work completed for the Squats. Now there is just that minor detail of painting them. Middle row from left: Berzerker with two Mole tunellers, a squadron of Robots and a Brotherhood with Spartan Rhinos. Bottom row from left: Twelve Thunderers and the Living Ancestor. 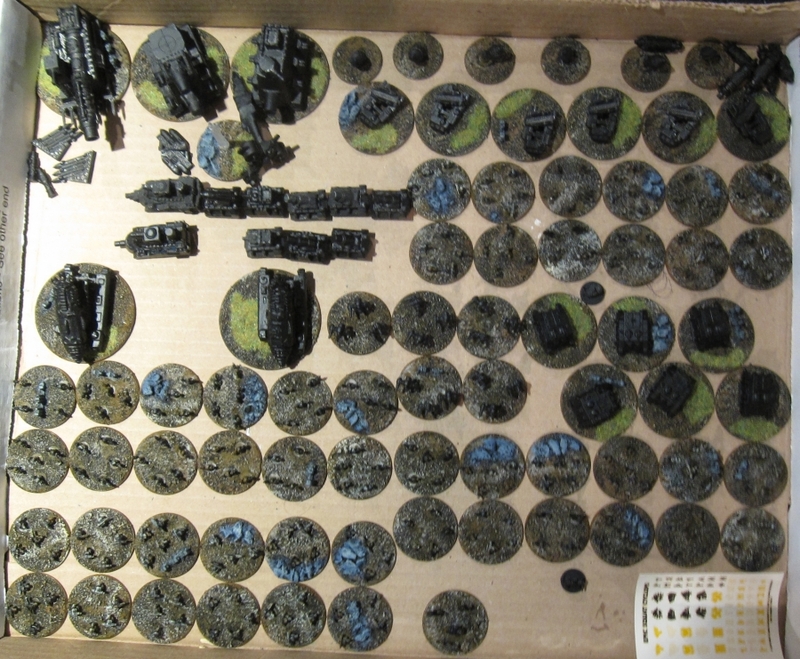 Top row from left: 18 Mole Mortars, 3 Goliath (1 inbound from Ebay) and 2 Thunderfire AA guns (4 more inbound from Ebay). Middle row from left: 18 Thudd Guns, 6 Rapiers, three squadrons of 6 Bikers and 6 Exo Armour Bikers. Bottom row from left: 6 Iron Eagle flyers, 2 Overlord Airships, 12 Trikes, and the “bike masters” (2 with masters on bikes, 1 on trike). This is pretty much everything available in the various Squat lists and comes to a grand total around 10,000 points. 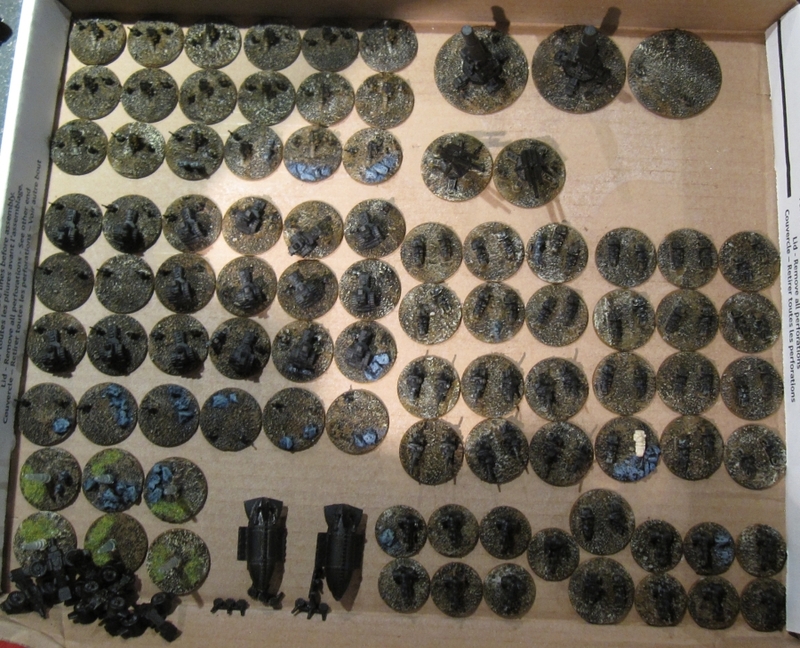 I just received the remaining parts for 6 Hearthguard bases and 6 Exo-Armour bases. Those will join the ranks shortly.